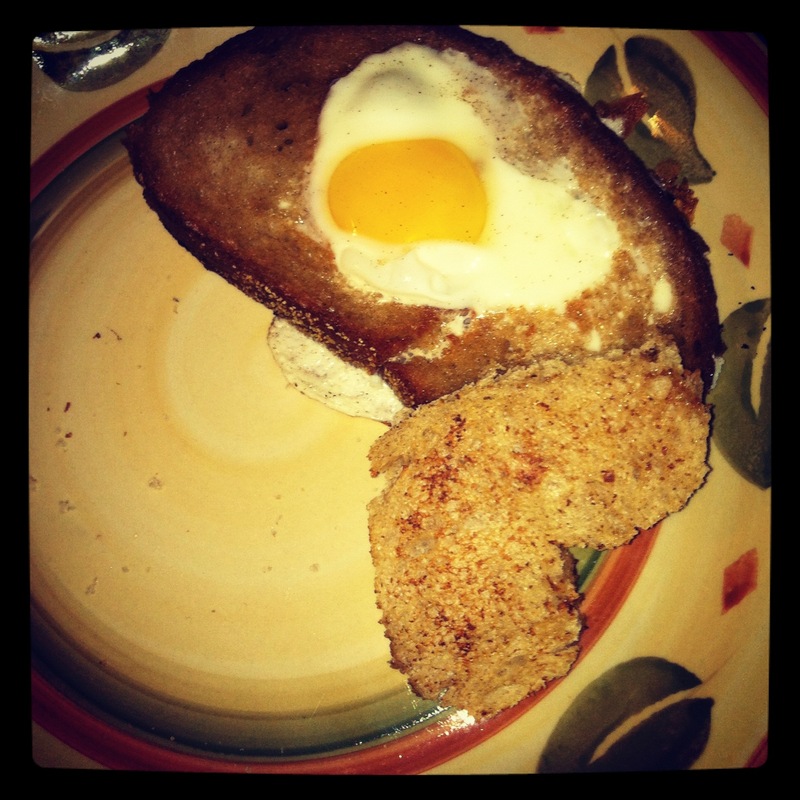 I made this egg-in-a-hole thing for breakfast this morning. It was supposed to be a lovey-dovey looking heart. Instead it looks like the cardiac muscle. Happy Tuesday! Yes, that’s what I am calling today. I really don’t really enjoy this holiday. In the sixth grade, one boy asked another boy to ask me to be his Valentine. Then, my supposed Valentine never spoke to me again. It was not cool. Enough cheese for you yet? No? Ok then. Let’s make Lemon Cream Cheese Coconut Bread. That should do it! Preheat your oven to 350ºF and grease up a 8×4″ loaf pan. Meanwhile, in a large bowl, using a hand mixer, beat together the butter, sugar and eggs at medium speed. When it’s creamy, beat in the milk, lemon juice and zest. Then stir in your flour, baking powder and salt until combined. I’d recommend stirring in the dry ingredients by hand, especially if you’re trying to surprise the person you’re making this for and that person happens to live with you. Your kitchen might look like that scene from Scarface if you attempt to use the mixer. You get me? Now, let’s work on the filling. Make sure to set aside about two tablespoons of the coconut, which will (spoiler alert) appear later in the story. 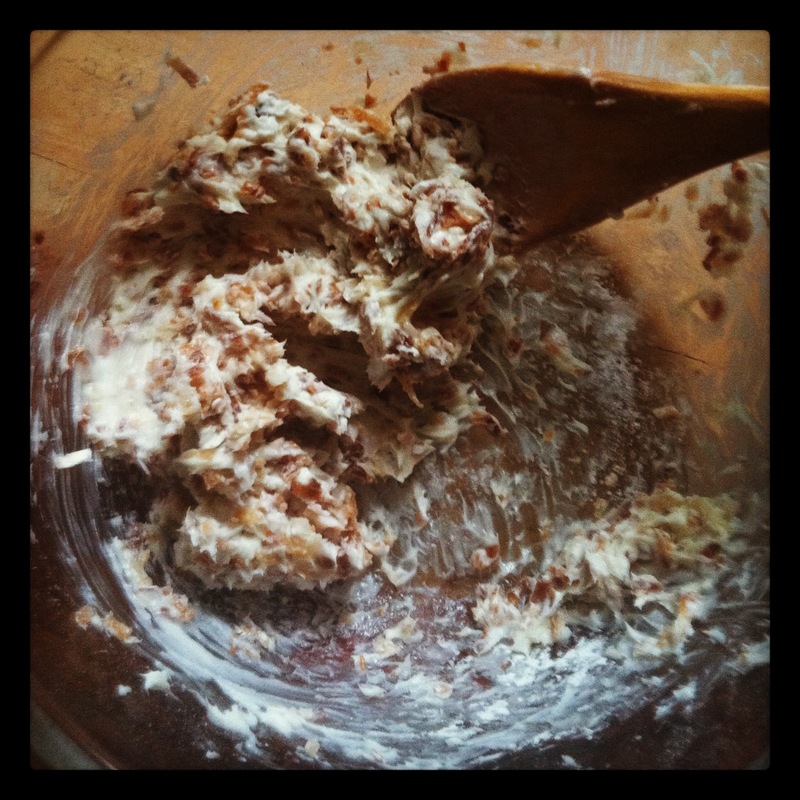 Mix the rest of the coconut with the cream cheese and sugar until fully combined. Sweet Ron Burgundy, it took everything in me not to eat this filling while making it. Now, pour half of your lemon batter into your loaf pan. 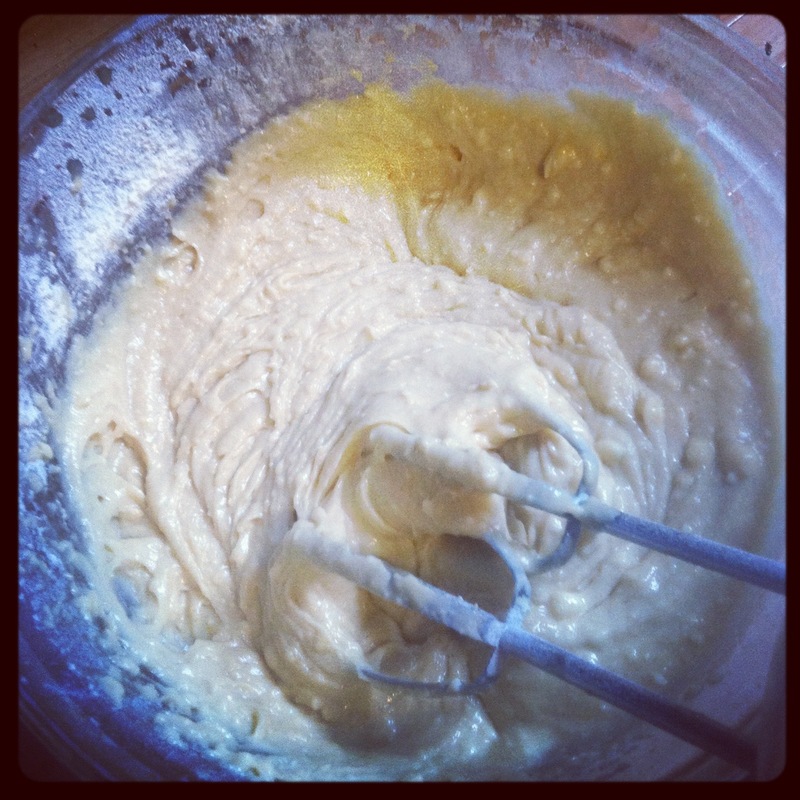 Evenly spoon the cream cheese mixture onto it, then pour the remaining batter over to cover. Let this bake in your oven for 50 to 55 minutes, until the top is a deep, golden brown. Let this one cool in the pan for about 10 minutes, then remove it and let it cool completely. At this point, you can make the glaze if you want to. Since I was making this as part of a Happy Tuesday Ambush Breakfast, I thought the glaze would be overkill. 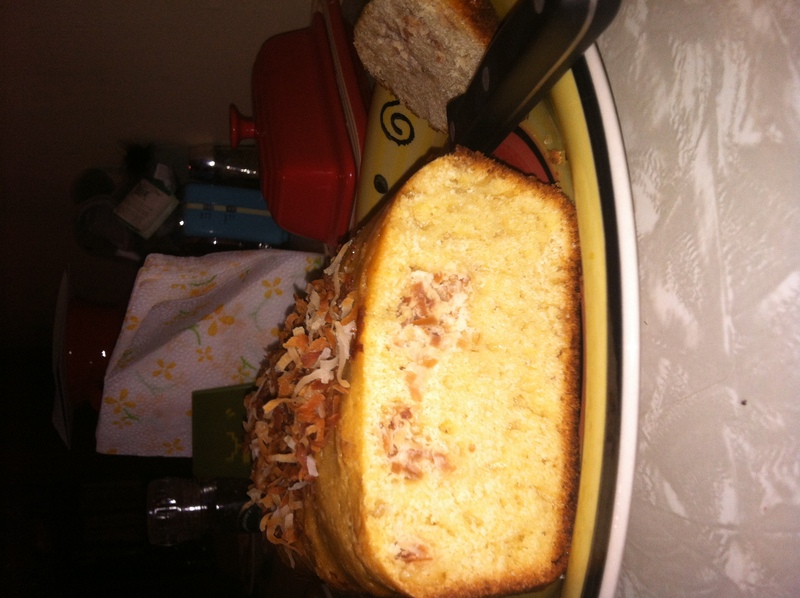 I’d actually tried it and did not love it, so decided to simply sprinkle my reserved coconut atop the bread. Mother of Blog, I think I made the right move. This thing is a MUST make again. We haven’t even come close to finishing it, and I’m already thinking of occasions on which I can make this again. Methinks a Happy Thursday is in order. And my, what an exceptional Valentine’s Day treat!